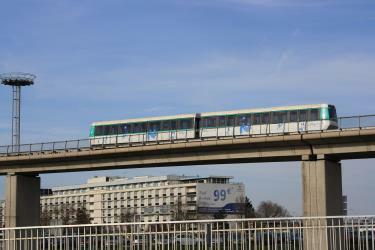 What is the cheapest way to get from Charonne to Paris Orly Airport (ORY)? The cheapest way to get from Charonne to Paris Orly Airport (ORY) is to drive which costs 2€ - 4€ and takes 18m. 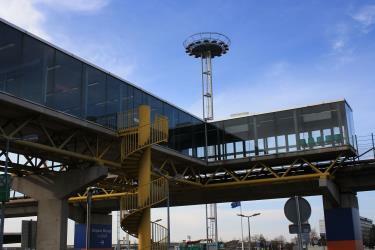 What is the fastest way to get from Charonne to Paris Orly Airport (ORY)? 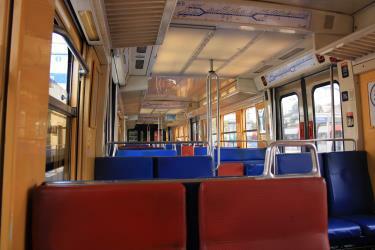 The quickest way to get from Charonne to Paris Orly Airport (ORY) is to shuttle which costs 40€ - 60€ and takes 17m. 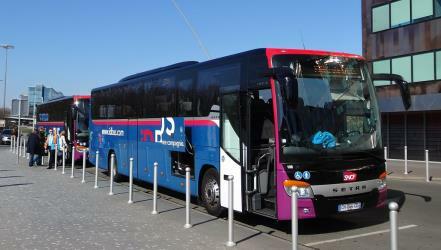 Is there a direct bus between Charonne and Paris Orly Airport (ORY)? 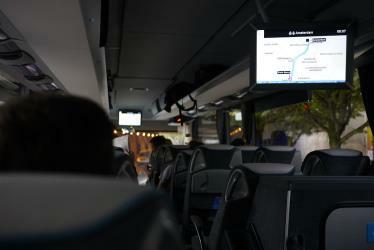 No, there is no direct bus from Charonne to Paris Orly Airport (ORY). 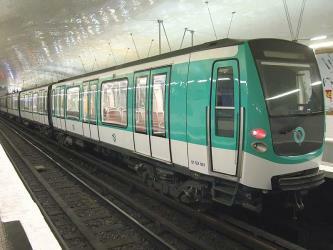 However, there are services departing from Charonne - Voltaire and arriving at Orly Sud via Chatelet and Denfert-Rochereau-Metro-Rer. 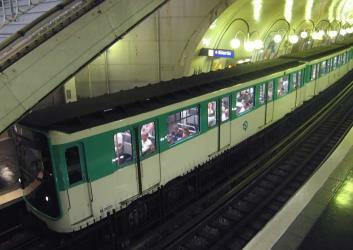 The journey, including transfers, takes approximately 1h 13m. 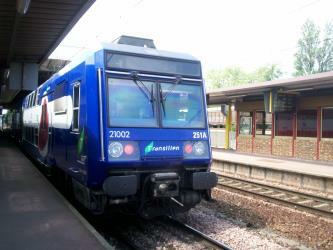 Is there a direct train between Charonne and Paris Orly Airport (ORY)? No, there is no direct train from Charonne to Paris Orly Airport (ORY). 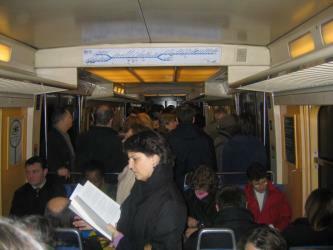 However, there are services departing from Nation and arriving at Orly 4 via Chatelet Les Halles and Antony. 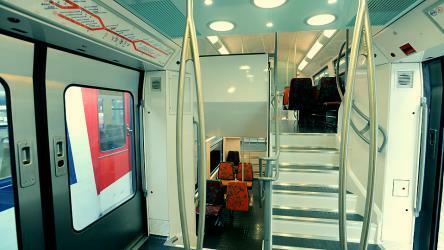 The journey, including transfers, takes approximately 59m. How far is it from Charonne to Paris Orly Airport (ORY)? The distance between Charonne and Paris Orly Airport (ORY) is 14 km. The road distance is 19.8 km. 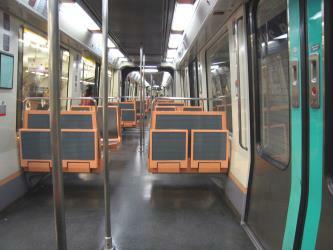 How do I travel from Charonne to Paris Orly Airport (ORY) without a car? 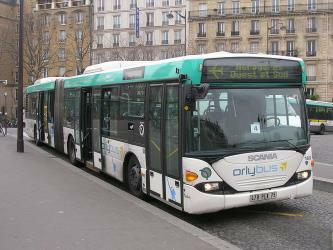 The best way to get from Charonne to Paris Orly Airport (ORY) without a car is to line 6 subway and bus which takes 54m and costs 11€. How long does it take to get from Charonne to Paris Orly Airport (ORY)? 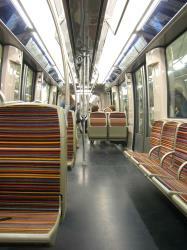 It takes approximately 54m to get from Charonne to Paris Orly Airport (ORY), including transfers. 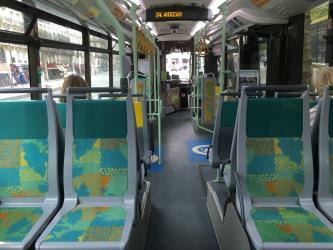 Where do I catch the Charonne to Paris Orly Airport (ORY) bus from? 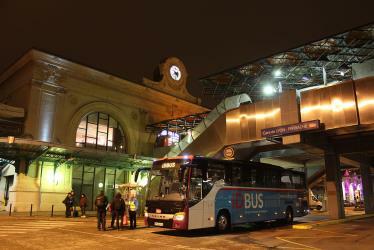 Charonne to Paris Orly Airport (ORY) bus services, operated by Bus RATP, depart from Charonne - Voltaire station. 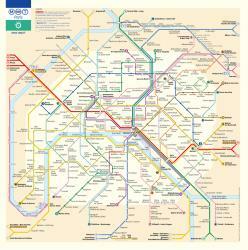 Where do I catch the Charonne to Paris Orly Airport (ORY) train from? Charonne to Paris Orly Airport (ORY) train services, operated by Paris RER, depart from Nation station. 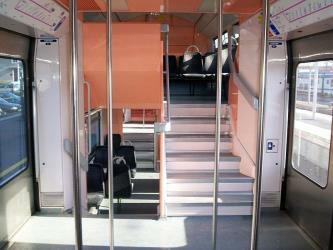 Train or bus from Charonne to Paris Orly Airport (ORY)? 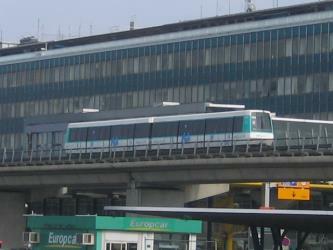 The best way to get from Charonne to Paris Orly Airport (ORY) is to train and funicular which takes 59m and costs 12€ - 15€. 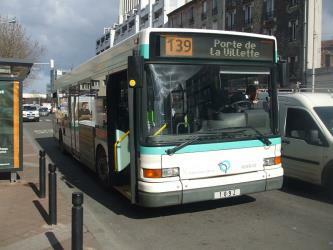 Alternatively, you can line 76 bus and line 38 bus and bus, which costs 13€ and takes 1h 13m. What companies run services between Charonne, Île-de-France, France and Paris Orly Airport (ORY), France? 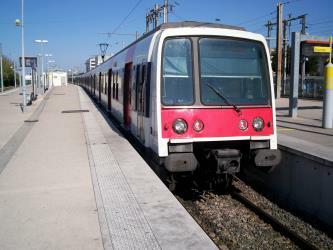 You can take a train from Charonne to Paris Orly Airport (ORY) via Nation, Chatelet Les Halles, and Antony in around 59m. 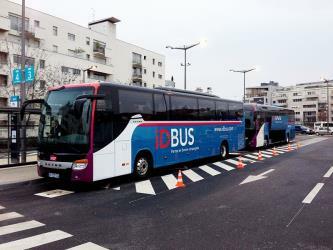 Alternatively, you can take a bus from Charonne to Paris Orly Airport (ORY) via Chatelet, Denfert-Rochereau, and Denfert-Rochereau-Metro-Rer in around 1h 13m. 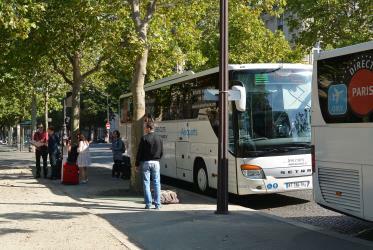 Where does the Charonne to Paris Orly Airport (ORY) bus arrive? 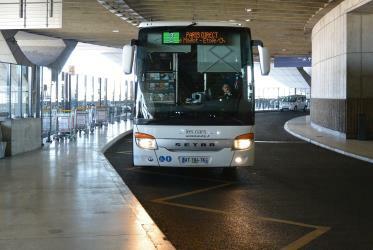 Charonne to Paris Orly Airport (ORY) bus services, operated by Paris Orlybus, arrive at Orly Sud station. 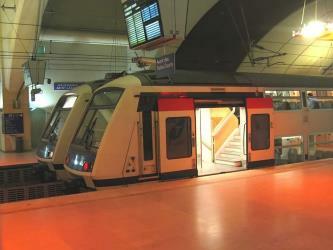 Where does the Charonne to Paris Orly Airport (ORY) train arrive? Charonne to Paris Orly Airport (ORY) train services, operated by ORLYVAL, arrive at Orly 4 station. Can I drive from Charonne to Paris Orly Airport (ORY)? Yes, the driving distance between Charonne to Paris Orly Airport (ORY) is 20 km. 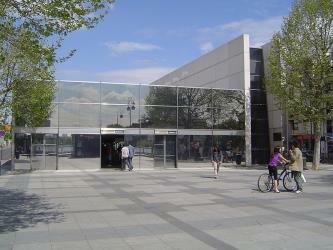 It takes approximately 18m to drive from Charonne to Paris Orly Airport (ORY). Rome2rio makes travelling from Charonne to Paris Orly Airport (ORY) easy. Rome2rio is a door-to-door travel information and booking engine, helping you get to and from any location in the world. 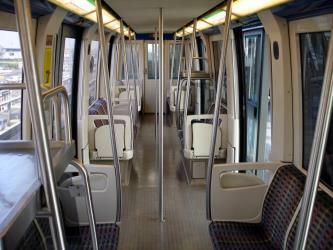 Find all the transport options for your trip from Charonne to Paris Orly Airport (ORY) right here. Rome2rio displays up to date schedules, route maps, journey times and estimated fares from relevant transport operators, ensuring you can make an informed decision about which option will suit you best. Rome2rio also offers online bookings for selected operators, making reservations easy and straightforward.